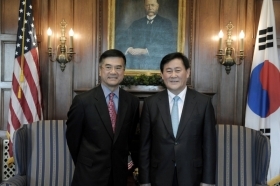 U.S. Commerce Secretary Gary Locke met with Korea’s Minister of Knowledge Economy (MKE) Kyunghwan Choi and China’s Minister of Science and Technology (MOST) Wan Gang today in separate meetings at the Commerce Department. 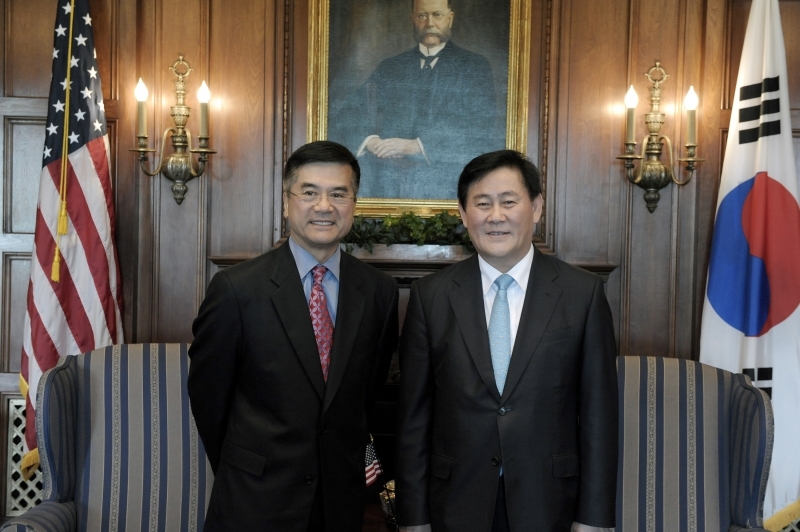 This was the first meeting between Locke and Choi and the first meeting of the Commerce-MKE Committee on Commercial Cooperation, a committee created through a Memorandum of Understanding signed by the U.S. and Korea in June 2009. Locke and Choi confirmed the importance of further strengthening U.S.-Korea commercial relations and working together on trade and investment issues. The pair also expressed support for removing barriers to trade and finding a way forward on the U.S.-Korea Free Trade Agreement (KORUS FTA). Following their meeting, Locke and Choi each spoke at the opening session of the Committee, which then held working-level subcommittee break out meetings.